But let’s be professional here. Free food and wine does not make me lose all morality, at least not in the beginning. You deserve an informative, subjective yet impartial review and that is what you will get. 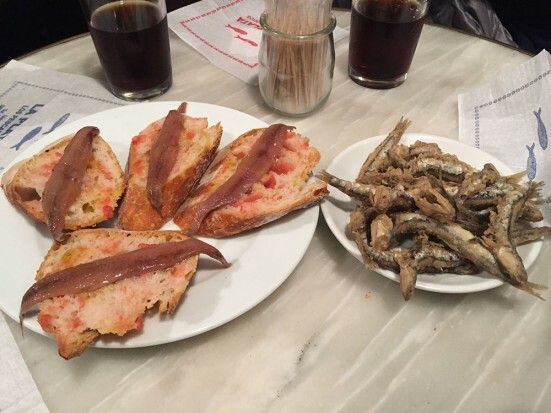 The Best Tapas Tour in Barcelona! 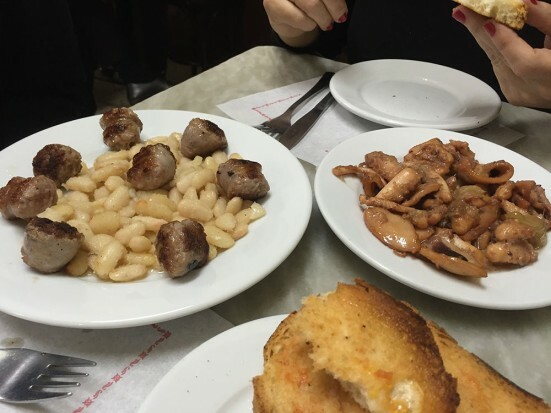 Nuria and Margherita offer one tour in Barcelona and one tour only, their tapas tour. You can find tapas everywhere, but where are the best places? What time is the best time to go to a restaurant or bar and not get trampled to death by swarms of people? And what should you choose on the menu? Passionate foodies, Nuria (from Castille y León) and Margherita (from Italy) know their stuff and have lived in Barcelona for 45 years between them. Their love of food and wine shines through as does their knowledge and warmth. Their tour starts in Barceloneta, moves into Barri Gòtic and ends up in El Born. It covers a relatively small area but crisses and crosses those neighbourhoods over the course of 4 hours. They requested I keep the exact itinerary a secret for fear of people taking the route themselves. I tried to impress upon them that the reason people take these tours is not only to discover the places and dishes that they might not otherwise but because of the knowledge and passion of the guides. You could take the exact same route and have the exact same dishes and drinks and of course it would not be the same. Nuria’s humble look of amazement at such a thought was entirely endearing. 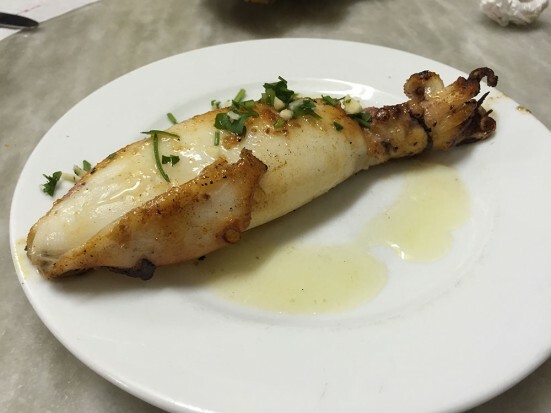 What I will reveal is we went to a restaurant in Barceloneta that I had been dying to go to and I wasn’t disappointed. It was a highlight. We went to a bar that I’d walked past many times but had always been too timid to enter. We tried cheeses and wine served by a long-standing expat of extraordinary character. And a dish that Nuria will happily talk about for hours that I have never been able to get my palate around. The tour focusses on local specialities and they take you to where they consider are some the best places to find these. I’ve been on a few such tours and it’s always great to experience these delights with other people, usually from around the world, even for someone who has tried them before. The groups are no more than 8 people. They welcome kids and offer private tours if you prefer. And between them speak English, Spanish, French and Italian. Doing one thing well can get you a long way in life. And I hope that this is the case for Nuria and Margherita and their Food Lovers Company tapas tour. If you have any friends or family visiting or are visiting the city yourself, I encourage you to check them out! We love eating tapas when we’re in Spain. After the fun we had making paella in Valencia, on our recent trip to Barcelona, we decided to take a tapas making class. It’s something different and it turned out to be a really fun way to spend an evening! 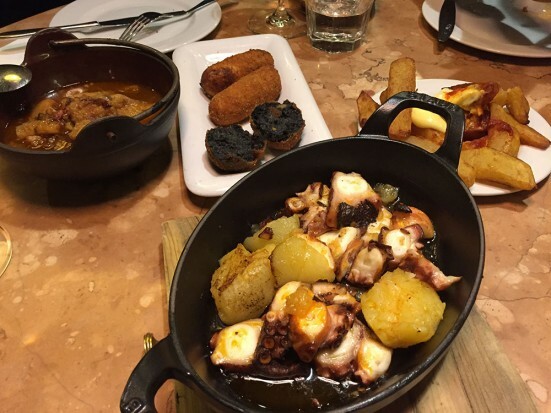 It’s definitely worth doing if you love good tapas.